People want to capture every moment of their life and show it with everybody. The need of sharing pictures, in social media is growing each and every day. Taking pictures is a way to remember precious moments, but sometimes an image is not enough. When we see pictures of food, flowers or even of a certain person we can only have an idea of what we are seeing. 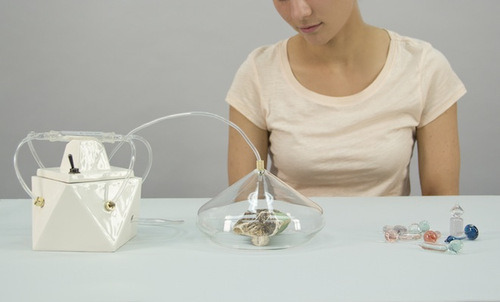 Imagine if could actually smell what we saw… This would give us the ultimate experience. A new prototype just came out! 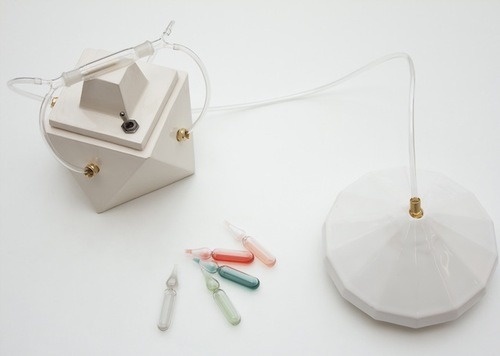 The new camera that can actually capture the smell of an object and turn them into olfactory photographs was designed by Amy Raddcliffe. The “Madeline Camera” was a graduated Project at London´s Saint Martin’s School and the objective was to capture a moment and archive it in our emotional memory. An object is placed inside a glass dome, then, a glass tube filled with an absorbent polymer resin will sucked the air from the dome and will record the molecular data of the odor. People’s need of taking pictures is still increasing. Last year, 37% of the images in the US, were captured using camera phones, but by 2015, National Geographic writes, that number is expected to be 50%. And what do we do with all that pictures? We share them on the social media, in a fast, easy and practical way. Memories will have more value and pictures will make us feel and create a moment. Maybe in a few years we’ll be able to feel temperature, texture or even the flavor of an object with just a picture. What do you think? We would like to know! Our guest poster, Michelle Flores Lugo, is a fashion-addict and a trend-follower that is always looking for the latest information! Check her out on FB and Twitter!